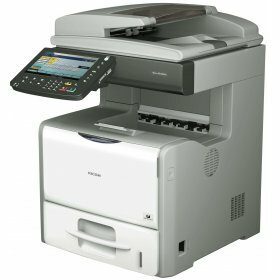 The Ricoh C 306 SPF is a multi function printer with a small footprint. Work quickly and efficiently using the large 10.1 inch touchscreen. Increase the paper capacity to 1350 sheets and save time refilling the paper tray when using the Ricoh MPC306SPF. 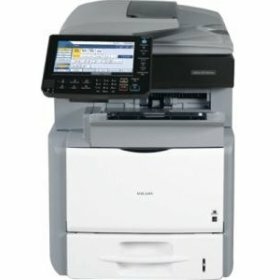 The Ricoh5054 is a multi function device with a fast print speed of 50 pages per minute and a scan speed of 180 images per minute. 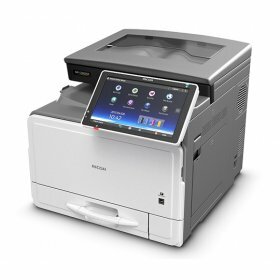 It includes time saving features such as print and scan from a USB, mobile printing and preset shortcuts for frequent tasks. Print, copy, scan and have the option of faxing when using the MP5054 MFP. The 401 MFP will print at a speed of 42 pages per minute and scan at a speed of 22 scans per minute. Print on recycled, letterhead, preprinted, OHP, envelopes, label stock and more with the MP 401 SPF. 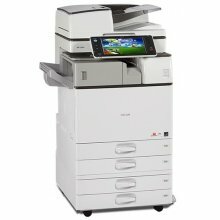 Use the Aficio 401 for all your printing, copying, scanning and fax needs. The Ricoh Aficio MFP 2554 will copy, print, scan and fax effortlessly. Save time by using the preset shortcuts for frequent jobs and scanning to email or folder with the Ricoh 2554. With a maximum paper capacity of 4,700 pages, you won't waste time filling the paper tray when working with the Ricoh2554. 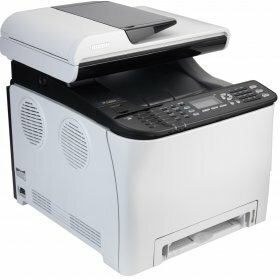 The 3554 is a multi function printer with black and white output. 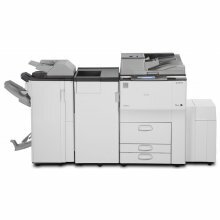 The Ricoh 3554 can handle a variety of media types including plain paper, transparencies, labels, envelopes and cardstock. 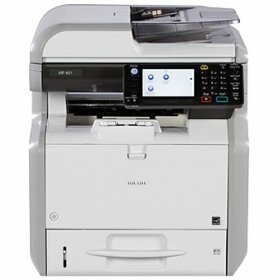 Make use of the print, copy, scan and optional fax features straight from your mobile device with the MP3554. The Ricoh 7502 will print in black and white at a fast speed of 75 pages per minute with its first page out in 3.2 seconds. The sleek, easy to use design ensures fast moving of everyday tasks. Scan and print from a USB and print from your mobile device when using the Ricoh7502. The sleek, easy to use Ricoh 9002 is a multi function with copy, print, scan and fax capabilities. Print in black and white at a fast speed of 90 pages per minute with the MP-9002-SP. Make use of a fast first page out speed of 2.9 seconds and the ability to print on a variety of media types. The Ricoh MP-7502-SP is a user friendly, easy to use design. It will print, copy, scan and fax. Preview PDF, JPEG and TIFF documents from a USB before printing to avoid print errors. The Ricoh 7502 features a variety of finishing options including hole punching, multi-folding option, stapling and booklets. The 5210 SRG is a compact all in one device. 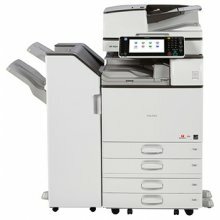 It will copy, print, scan and fax in black and white. 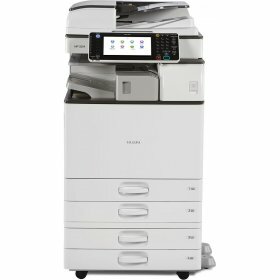 The SP-5210-SRG can sit on your desktop or be expanded to be a four tray, floor standing MFP. The Ricoh 5210 features save to memory card or USB flash drive and scan to e-mail or folder.